Disney has long been an innovator of animatronic technology. Therefore, it only makes sense they’d be among the leaders in autonomous technology, as well. While they aren’t in the market of self-driving cars, they are in the business of making flying robots. Most people assume companies like Disney would be fine using CGI to advance technology. As it turns out, Disney Imagineers have taken it a step further by crafting their own autonomous superheroes. They can not only fly, but slow themselves down in mid-air enough to strike a pose. It’s not known where or how these robots will be used. However, it’s safe to assume they’ll be on the set of live-action films produced by Disney. In addition, the autonomous superheroes are likely to debut in some of Disney’s theme parks in the near future. So often our robots are in the uncanny valley where you got a lot of function, but it still doesn’t look quite right. And I think here the opposite is true,” says Pope. “When you’re flying through the air, you can have a little bit of function and you can produce a lot of stuff that looks pretty good, because of this really neat physics opportunity — you’ve got these beautiful kinds of parabolas and sine waves that just kind of fall out of rotating and spinning through the air in ways that are hard for people to predict, but that look fantastic. 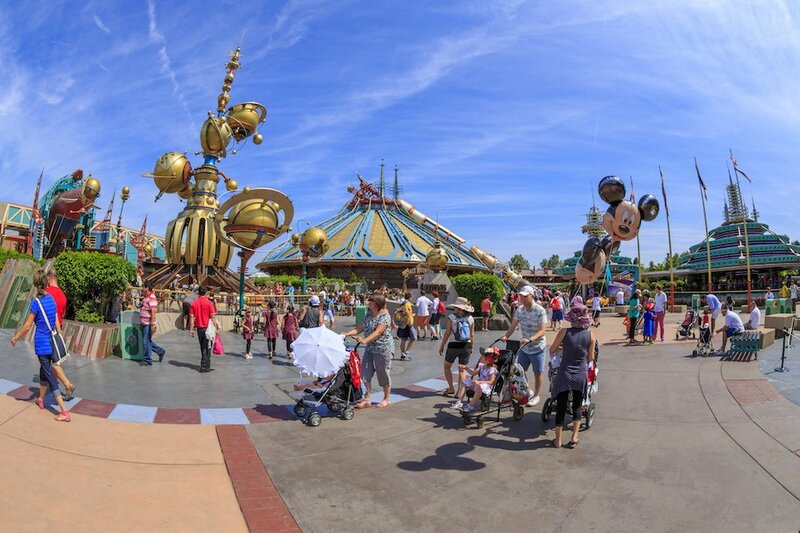 Disney believes the robots will help bring new acrobatics to their theme park shows. In addition, they’ll provide a much safer avenue for their real-life human counterparts. After all, the latter often find themselves in precarious and somewhat dangerous stunt situations.